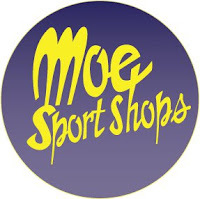 Once again, we're happy to be partnering with our friends at Moe Sport Shops to bring you the 3rd annual MBN College Pick'em League! And once again, the good folks over at Moe's have stepped up to offer prizes to the top three finishers! • Pick the winner of a select number of games each week for 14 weeks (no point spreads). Games will include Yahoo! selected games and B1G conference games. • Rank all of your picks with confidence points. • Game picks are locked 5 minutes prior to that game's kickoff. • Lowest week's score at the end of 14 weeks is dropped. • One entry per person. Duplicate entries will be removed. That's it. Enrollment in the league is open until September 1st. I am participating, but only as the commissioner. I will not be eligible for prizes. Spread the word, anyone is eligible to play. Questions? Let me know in the comments or email me at brad[at]maizenbluenation[dot]com. Good luck and happy pickin'!